Organisations who process CCTV images of the public as part of their security systems are required to register with the Information Commissioner’s Office. This is in relation to CCTV and The Data Protection Act 1998. Many businesses are often confused about how to comply with the Act’s regulations and its Code of Practice. This workshop will clarify what you do and what you don’t need to do. Delegates will be brought up to date and in full with the current CCTV regulations along with the appropriate actions needed to comply with the regulations. 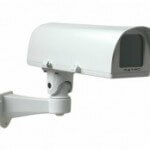 This will result in an improved day to day decision process with regards to CCTV. This course will also reduce the risk of accusations of non-compliance being filed against themselves or their organisation. •The Data Protection Act – what it is and to whom does it apply? Who administers it? What is ‘personal data’ and ‘data processing’ in the context of CCTV? •The Act’s 8 and Principles of their implications for CCTV operations, differentiating between compliant and non-compliant use. •The importance of the CCTV Policy Document and documented Operating Procedures. •The requirements for effective management, adequate signage, accurate record keeping, annual assessment and how to put these into effect. •Statutory Authorities – (SIA, ICO) Operator Licensing, ICO notification and registration, exemptions and exceptions and penalties for non-compliance. •Home Office scene content and recommendations for video evidence anticipated for prosecution usage in court. •Advisory Authorities – (BS, CAST, BSIA) – their roles and recommendations. 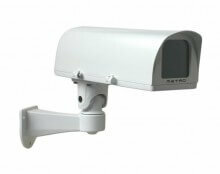 Anyone involved in CCTV use, particularly if the system includes cameras which can identify an individual or which covers areas of public space. It will be of particular value to IT Managers, CCTV Managers, HR Managers, Site Supervisors, Data Controllers, Nominated Data Processors, Security Chiefs, Facilities Managers, Premises Manager and Business Owners. FFM are happy to run this workshop at your offices if you have a number of colleagues who would benefit from the training. The cost is dependent upon your required training location and will include the 3 hour workshop, content plus supporting materials and a Certificate of Attendance.